On yet another glorious day 125 members and visitors were willing to forgo their gardening duties to attend our April meeting. 80 members renewed their subscriptions and I would like to thank committee members and volunteers for their hard work in the efficient collection of funds. After last month’s appeal, we have a volunteer for the post of Membership Secretary, but we still have a vacancy for a committee member. Following our AGM in 2017, Peter Gibson will be relinquishing his position of Database Controller and Technical Officer so, we will need an experienced computer expert to take over these duties. It could take some time to understand the complexities of this post, so we are looking for a volunteer now. Sarah Pennie made an appeal on behalf of the Friends of Centre Vale Park who are hoping to secure funding, from the Lottery, for improvements to the park. Regrettably repairs to the bandstand will not be part of this funding. Hopefully Sarah will return to update members on progress. Jane Shepherd gave us a most amusing insight into her life. She developed polio at 5 months, yet hers is a tale of positivity. Staying awake at a breakfast meeting became her break into broadcasting. Jane has worked at the World Service, Radio 5, Woman’s Hour and also television presenting. Her anecdotes, asides and self deprecating humour brought many laughs from members. Jane now attends many Benefit Tribunals and supports disabled people whenever possible. 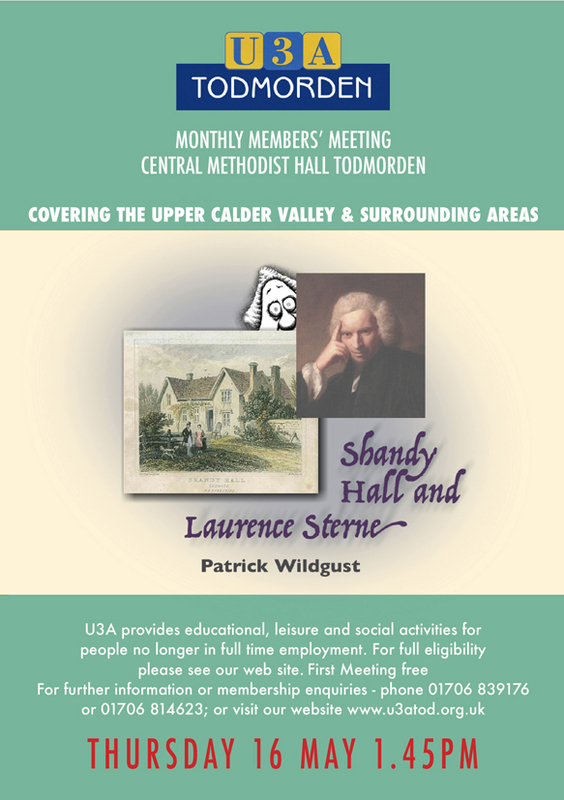 Our next members’ meeting will be 19 May at Central Methodist at 2.00pm when our speaker will be Gill Russell and her subject will be “Stranger in a Strange Land”. Your committee thank you for your attendance and look forward to meeting you next month. Our Chairman, Keith Coates, is on holiday: this report compiled by Ernie Rogan, Vice Chairman.